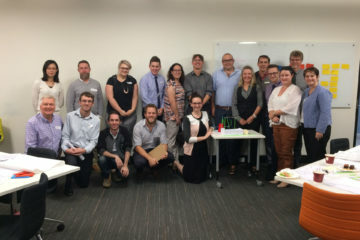 As a result of co-design workshop and working with Indooroopilly SHS and Kedron SHS we have developed a Design thinking toolkit to help support teachers in Digitech. Using a design thinking approach to brainstorm ideas for some great content for year 9 and 10 digitech. We are gathering feedback and evidence on the effectiveness on the use of Design Thinking in Digitech Curriculum.